And I know I have spent every life before this searching for you. 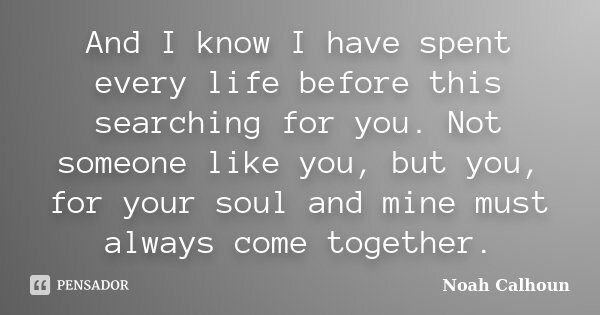 Not someone like you, but you, for your soul and mine must always come together. Noah Calhoun SPARKS, N. The Notebook. London: Hachette UK, 2011. Os 15 Melhores Livros de Terror que vão tirar o seu sono!